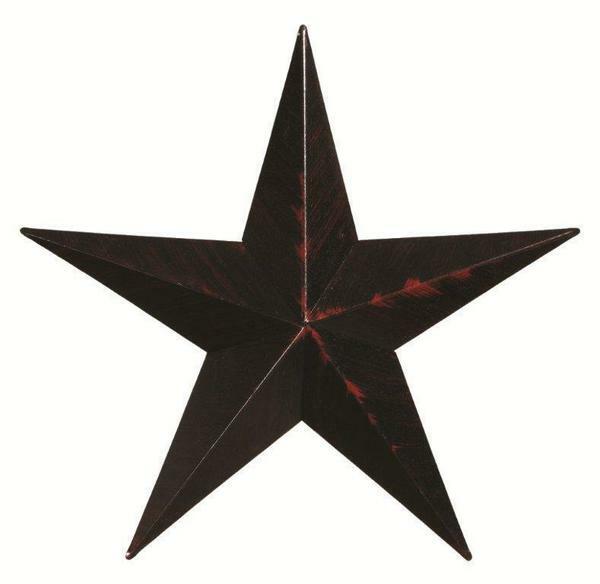 Amish 24" Painted Barn Star - Choose Your Colors! An American staple since the late 1700s, barn stars are the ideal way to add a little touch of country style to any outdoor space! These beautifully handcrafted barn stars are built from American materials by an Amish woodshop in Pennsylvania, as close to the roots of the original barn star as it's possible to get. The expert woodworkers who craft these pieces are also ideally placed to customize them, inviting you to choose your ideal shade of finish for your ideal barn star. We love the versatility and irresistible country charm of these stars. If you've any questions at all about these pieces, please don't hesitate to call us or stop by our store in Sarasota, Florida - we would love to hear from you! I would definitely recommend this company to all my friends. (Item 2421) Amish 24" Painted Barn Star - Choose Your Colors!